Following a breakthrough 2014 campaign that saw Ole Miss win nine games and be in the serious hunt for the College Football Playoff for awhile, the Rebels brought that momentum (ignoring a Peach Bowl loss to TCU) into the 2015 season and won a huge early game against Alabama for the second consecutive year. Once more, the hype train began for the Rebels after the victory, but a blowout loss to Florida a few weeks later and a non-conference beating to Memphis killed Playoff hopes. Even so, Ole Miss still had a chance at an SEC Championship appearance, as both Alabama and them both had one-loss and the Rebels still owned the tie-breaker. Then, Arkansas completed one of the craziest plays in the 2015 season, throwing a wild hurdle back to move the chains on a 4th and 25 in overtime and taking down Ole Miss in a thriller. The final result for the Rebels was a 10-3 mark, after they won the Sugar Bowl over Oklahoma State. It could definitely be called a successful fourth year for head coach Hugh Freeze, and the Rebels could very well continue to progress in 2016, despite some heavy losses and a tumultuous offseason filled with NCAA investigation. Backfield: Entering last year, it wasn't clear who was going to replace long-time starting quarterback Bo Wallace. Wallace was frustratingly inconsistent but was still a three-year starter who is now second on the school's career passing yards list. The competition between JUCO transfer Chad Kelly, powerful runner DeVante Kincade and Ryan Buchanan was intense, but Kelly came out with the job and did not disappoint. The former Clemson quarterback (who was kicked out for off-the-field issues) showcased a fantastic arm that could make a wide variety of throws. He ended up throwing for 4,042 yards and 31 touchdowns, while also showing solid mobility, rushing for 500 yards. Kelly received decent NFL Draft buzz but opted to stay for his senior campaign, and there is no question that he has the QB job locked down (Kincade and Buchanan both transferred). Kelly will have to cut down on his turnovers, with 13 interceptions last year, and also become a better team leader. 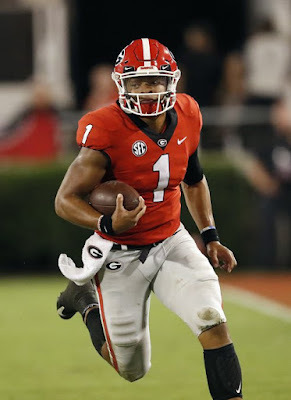 While he will have to address those issues, his dazzling arm and great potential around him offensively make him a dark horse Heisman threat. With Buchanan and Kincade gone, expect true freshman Shea Patterson to possibly get primary back-up reps at the position. Patterson is a five-star recruit out of Bradenton, Florida, who is definitely the Rebels' quarterback of the future. While Kelly will keep the quarterback spot a significant strength, Ole Miss has some question about their running backs. Underrated Jaylen Walton was productive as the feature back last year, running for 730 yards and five scores. Walton graduated however, leaving the job pretty wide open. Junior Jordan Wilkins is the likely starter, after recording 379 yards and four touchdowns in 2015. Wilkins doesn't have Walton's speed or elusiveness, but he is more effective between the tackles and in short yardage. Senior Akeem Judd was Ole Miss' third leading rusher last year, and should also put up a fight for the job. He had 421 yards a season ago, and is incredibly quick and can cut on the dime. 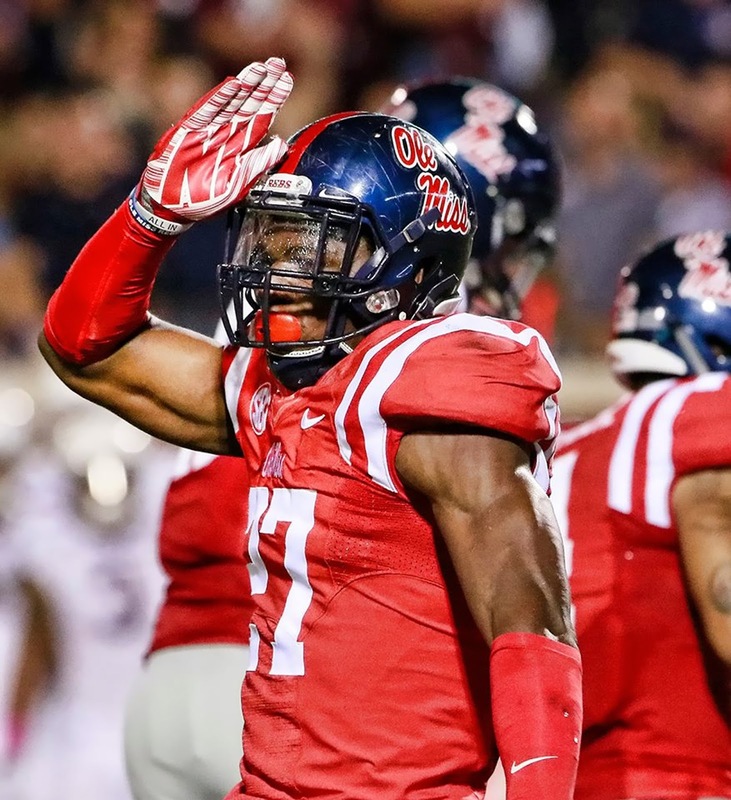 The two give Ole Miss plenty of versatility, as both backs offer different areas of strength. If one can step up in a big way, Ole Miss' offense becomes very effective. They were pretty one-dimensional last season, and that really hurt them last year at times, so Wilkins and Judd will play a very critical role. Junior Eugene Brazley provides quality depth, and redshirt freshman Eric Swinney has a bright future at the tailback slot. Receivers: After three highly successful years at Ole Miss, Laquon Treadwell made the expected jump to the NFL this offseason. Even coming off a gruesome leg injury at the end of 2014, Treadwell recorded 82 receptions, 1,153 yards and 11 touchdowns. Also joining him in moving on is the team's second-leading receiver last year, the reliable Cody Core. Despite those two losses, Ole Miss has a number of weapons for Chad Kelly to work with at receiver. Senior Quincy Adeboyejo will be best remembered in 2015 for his crazy ricochet catch and score that gave them the lead against Alabama early on, but he was also very productive. Adeboyejo had 604 yards and seven scores himself last season and while he will need to adjust to a larger role, he has explosiveness. Joining Adeboyejo will be junior Damore'ea Stringellow. Stringellow came on to the scene in a big way last year, picking up 503 yards and five touchdowns himself, while displaying fantastic speed. A Washington transfer, Stringfellow should only improve as he grows more comfortable in the Ole Miss offense, that fits his playmaking ability very well. Junior Markell Pack is also going to play an increased role after showing flashes of brilliance in '15. Pack recorded 31 catches for 380 yards last season and while he doesn't possess the explosiveness or speed of Stringellow or Adeboyejo, he has good hands and great leaping ability. Beyond those three, Ole Miss is not quite as experienced or proven, but there is some intriguing talent. Redshirt freshman Van Jefferson was one of the big gems of last year's recruiting class, but wasn't going to see action with the depth at the position. A good route runner who has bulked up this offseason, Jefferson could be in store for a breakout year. Senior Derrick Jones started his Ole Miss career at cornerback, but will move to receiver this season. His ball skills have always been impressive, and he showed promise at wide out in short stints in 2015. Sophomore DeMarkus Lodge was little used as a true freshman last year, but did appear in seven games. He could be yet another player ready to step up and play an increased role. Tight end is a considerable strength for the Rebels, as senior Evan Engram returns. Engram is a proven playmaker in the receiving game, with 38 catches for 484 yards a year ago. He will enter the season as one of the conference's premier receiving tight ends, but hopes to increase his touchdown output (just two last season) and continue to improve as a blocker. Newcomers Gabe Angel and Octavius Cooley have enough talent and potential to be quality backups to Engram at the position. Offensive Line: His Ole Miss career may end up being overshadowed by his NFL Draft troubles and leaked text messages that indicate wrongdoings in the program, but Laremy Tunsil was one heck of a football player with the Rebels. A former five-star recruit, Tunsil made his presence felt on the offensive line since Day One, but his 2015 was frustrating, as he missed seven games due to elgibility issues. When he did return, he was terrific and the Ole Miss offensive line was very, very good. His departure leaves them without much experience at the left tackle spot, which could be worrying. Five-star freshman Greg Little may be the favorite to take over the critical position. A steal from Allen, Texas who Hugh Freeze managed to keep away from the other big-time schools in the area, Little has tremendous talent. He is 6'6" and weighs in at 330 pounds, but still displays good footwork and solid technique. It will be certainly be an adjustment to go right into smashmouth SEC football from high school, but Little has the talent to adjust and Ole Miss doesn't have a ton of better options. The left guard spot is another place with concerns, after Aaron Morris departs, a solid run blocker with experience. Sophomore Javon Patterson had six starts as a true freshman a season ago, and appears to be the favorite. He isn't as established of a run blocker as Morris, but he has plenty of talent. Up the middle, Ole Miss must also replace quality center Ben Still, with senior Robert Conyers likely the heavy favorite. Newcomer Eli Johnson, a three-star prospect from the area, could serve as a promising backup. The Rebels should be strong on the right side of the line, where sophomore Jordan Sims and Alex Givens are the likely starter. Sims had four starts last year and showed terrific athleticism, while Givens is a redshirt freshman with very high upside. Tackle Sean Rawlings, a sophomore, could also fight for snaps at either tackle spot, after he made seven starts at the right tackle position a year ago. The Rebels are also hoping senior Jeremy Liggins can bright some depth at tackle, as he moves position once more. Liggins has spent time at tight end and even as Wildcat-quarterback since his transfer from Northeast Mississippi Community College. He could help out this offense in a multitude of ways. Defensive Line: Much like Tunsil and Treadwell, Robert Nkemdiche was a member of the game-changing 2013 Recruiting Class that began to lay the framework for the rise of the program. Nkemdiche was wonderfully talented and has a future in the NFL, but unfortunately, that potential never get meant production with the Rebels. He had just 29 tackles and three sacks last year, and had some off-the-field issues. His departures opens the door up for some new faces to see action inside, particularly senior Isaac Gross, who has some experience. Gross had 37 tackles in 2014, but took a medical redshirt a year ago. Likely to join him in the interior will be sophomore Breeland Speaks, who has wonderful upside. Speaks notched 32 tackles and 4.5 tackles for loss a year ago, and proved he could get after the quarterback. Both Speaks and Gross will make plays as quality run defenders, but both are also athletic enough that it wouldn't be surprising if they can get after the opposing quarterback. The Rebels bring back their top pass rusher in junior defensive end Marquis Haynes. Haynes, who can also make plays as hybrid outside linebacker, picked up 10 sacks and was disruptive in a variety of ways. Haynes has good size and explosiveness off the edge, and he has plenty of NFL scouts interested in what he can do. Senior Fadol Brown is returning at the other defensive end spot, giving Ole Miss plenty of power off the edge. Brown had 32 tackles last year and while he also had just one sack he proved he could pressure opponents, with ten quarterback hurries. Brown may not have Haynes' explosiveness, but he has a wide, athletic frame that can overpower some blockers. Also back at the defensive end position is senior John Youngblood, who made two starts last year. Youngblood is a decent helper in run support, racking up 19 tackles in relatively limited action. Ole Miss could also turn to some incoming freshman to play increased roles. Benito Jones is a four-star prospect out of Waynesboro, Mississippi, that could see plenty of action due to the lack of depth at defensive tackle. A good athlete with good size, Jones could become an impact defender quickly for the Rebels. Another four-star addition, defensive end Charles Wiley, could also push for playing time this year. Linebackers: Ole Miss proved to have a strong rush defense last season, and much of that had to do with a quality linebacker corps. Despite injuries to key contributors like Denzel Nkemdiche, C.J. Johnson and Tony Conner, Ole Miss proved they could shut down some explosive offenses on the ground (held Florida to just 84 yards, Oklahoma State to 63). They will be without Nkemdiche and Johnson in 2016, but senior Tony Conner is back. Conner, who plays the "Husky" position, serves a hybrid linebacker/safety after originally coming out of high school as a safety. He has wonderful range, but also was inconsistent a year ago. He had just 17 tackles, numbers that should increase as he locks down a starting gig for the entirety of the season. Also returning is the team's leading tackler, junior DeMarquis Gates, who is vastly underrated. Gates took advantage of the Rebels' injuries and inconsistency to record 76 tackles and four pass breakups in a very increased role. He did that with just four starts last season, so his numbers should increase in a big way as he locks down a starting job at one of the outside linebacker positions. The middle linebacker position doesn't have a proven returning starter back from last year, but it should still be a strength, thanks to the addition of two impact transfers. Oregon State transfer Rommel Mageo led the Beavers in tackles and could be even better with the Rebels. Mageo has an excellent feel for the game, and should excel in the physical SEC. Also joining the unit is former Georgia 'backer Detric Bing-Dukes, who spent this past season playing in the junior college ranks with Iowa Western. 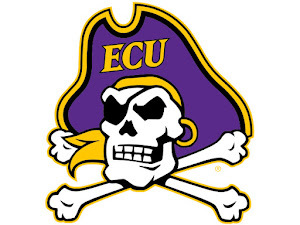 Bing-Dukes doesn't have Mageo's leadership abilities or proven play in a Power-Five Conference but he brings excellent versatility to the equation, as he could see playing time at either inside linebacker or on the defensive line somewhere. Also bringing important depth to the unit will be senior Terry Caldwell, who played well in a reserve role last year, with 32 tackles and one sack. Secondary: The Rebels' secondary was going through a major facelift last year, as they had to replace interception machine Senquez Golson at cornerback, and hard-hitting safety Cody Prewitt (both were Jim Thorpe Award Finalists in 2014). The unit still performed okay, but will also suffer some pretty heavy losses as they head into 2016. Three playmaking safeties, Trae Elston, Mike Hilton and Chief Brown, are all departed. Elston's loss will hurt especially as he earned Second-Team All-American honors for his 70 tackles, five tackles for loss and four interceptions a year ago. The good news is that Ole Miss should still be strong at cornerback, as senior Tony Bridges is back. A former JUCO guy that was forced into action last season, Bridges played well, with nine pass deflections and three picks. Bridges is an excellent coverage option that should really improve in his second year in the Ole Miss defense. He will be supported by junior Kendarius Webster, who returns at the opposite cornerback spot. He had 41 tackles and three tackles for loss last year, showing the ability to blitz and disrupt opponents' backfields. He also showed he could get his hands on the ball, breaking up 11 passes a year ago. The safety positions may be less experienced, but they should not be complete liabilities. Junior C.J. Hampton is the favorite to start at the free safety slot, after recording 27 tackles in '15. Hampton is not a wonderful athlete but he has does have solid closing speed and good instincts that make up for it. The "Rover" position is a question mark, with a number of players competing to lock down a pretty important job. Junior C.J. Moore is the most experienced after picking up 19 tackles last year, but there are other young guys that could also grab the chance to start. True freshman Myles Hartsfield is a three-star prospect that Freeze and staff managed to haul in from the Northeast. He'll fight with another more touted newcomer, Deontay Anderson, for the starting job. Anderson is a four-star steal from the state of Texas who has good size and solid athleticism. Special Teams: With kicker Gary Wunderlich and punter Will Gleeson both returning, special teams should be an area of strength for Ole Miss. Wunderlich had some ups-and-downs last year, but still managed 19/25 field goals and was perfect on extra points, while Gleeson averaged 40.7 yards per punt. Cornerback Carlos Davis handled some of the punt return duties last year and returns to likely take over full time, while a kick returner will need to emerge as Jaylen Walton handled those duties in 2015. Ole Miss has proven they can beat the big boys and win on a consistent basis. They are as talented as any team inside the SEC, as Freeze continues to land fantastic recruiting classes. Kelly, Stringellow and an offensive line that is inexperienced but supremely talented, should keep the offense humming, and the defense has replacements waiting in the wings. However, there are some questions about Mississippi as they head into '16-'17. NCAA investigation will likely hang around the program due to Tunsil's draft night issues, the secondary will have some growing pains and perhaps most importantly, the schedule is among the nation's toughest. Not only will Ole Miss have to win against the brutal SEC West, their non-conference tests include a Top-5 team in Florida State, along with two dangerous Non-Power Five schools, in Memphis and Appalachian State. In fact, outside of FCS foe Wofford and Vanderbilt, every team the Rebels play in 2016 will have made a bowl game in '15. That will challenge Freeze and the Rebels, but this program still has the chance to continue their improvement and momentum. If Kelly improves and they can take down a few SEC powers along the way, another New Year's Six Bowl is a distinct possibility.